In this article I have demonstrated how we can integrate a Silverlight Application with SharePoint 2010. I have used Bing Maps Control for Silverlight as example. Before starting development you have to install “Bing Maps Silverlight Control SDK” as a prerequisite. You can download the same from “Bing Maps Silverlight Control SDK” .Once you are done with the setup of Development environment the first thing you need to do is to register and create an account at https://www.bingmapsportal.com/ . Once you registered on bing maps portal, you need to provide below information to get an access key for using Bing Maps. Recently I have developed one VS 2010 Extension called ZoomSliderVSX. 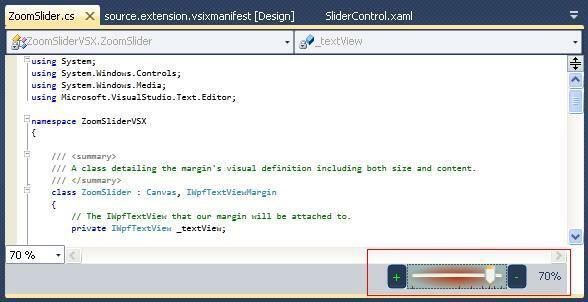 ZoomSliderVSX is an add-on functionality to zoom your source code inside VS 2010 Editor. Though VS 2010 having inbuilt Zoom Level dropdown list to change the ZoomLevel value, but I didn’t find anything like Scrollable zoom features which is one of the most common features for any MS products. So here is ZoomSlider VS2010 Extension which will give the scrollable zoom functionality very easily. I will publish one complete article with source code @Codeproject Very Soon. Please provide me your suggestion and feedback for improvement. 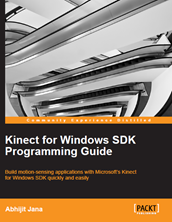 This article describes overview of ASP.NET MVC Framework , MVC Control Flow etc. This article is the Part 1 of the ASP.NET MVC Framework series. In this article I have describes very basic over view of MVC Framework and the control flow of MVC. I will write a few articles in this series which will help all the beginners to move ahead. This article is only about what MVC is. The Model-View-Controller (MVC) design pattern is an architectural design patterns for any standard development that separates the components of an application. This allows application to handle very flexible and extensible and easy to handle. ASP.NET MVC Framework is also one of the standard web development frameworks which separate the components of web development application different components. Model: The model manages the behavior and data of the application domain, responds to requests for information about its state from the view, and responds to instructions to change state (usually from the controller). View: This represent the presentation layer of the web application. The view manages the display of information based on the data of model that is requested by controller. Controller: Controller handles the user interaction with the web application. User request comes through controller to model and manipulate the records from it and then render the data using View to UI. Above picture showing you the actual flow of ASP.NET MVP Framework. Request comes from client to Controller and controller decided which model to used and based on that data rendered into browser. In the next article I will give the explanation of each of every step. You just need to remember these are the basic flow of an MVC Application. MVC is not a replacement if ASP.NET Web Form based development. This seats on the top of ASP.NET Development. MVC Framework simply divides the overall application architecture into three components. This is the startup article for MVC beginners. Many more to come. Where I will explain details of each of them with sample application. Finally there would be a complete ASP.NET project on MVC Framework. Hope this series will be helpful for all.